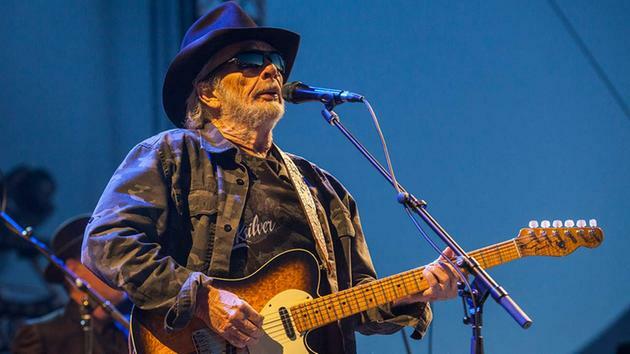 NASHVILLE, TN -- Country giant Merle Haggard, who celebrated outlaws, underdogs and an abiding sense of national pride in such hits as "Okie From Muskogee" and "Sing Me Back Home," died Wednesday at 79, on his birthday. Haggard's manager, Frank Mull, said the country icon died in Palo Cedro, California, of pneumonia. Wally is going to be so upset by this. Seriously, I'm going have have to pick the proper time to tell him. Merle was one of his heros. It took a while, because Okie from Muskogee and Fightin Side of Me I found offensive. But he since wrote and performed lots of great songs. Always loved the sound of his voice and am saddened to see him go. His music will continue to help keep his memory and legacy alive. Merle Ronald Haggard (April 6, 1937 – April 6, 2016) was an American country music singer, songwriter, guitarist, fiddler, and instrumentalist. Along with Buck Owens, Haggard and his band the Strangers helped create the Bakersfield sound, which is characterized by the twang of Fender Telecaster and the unique mix with the traditional country steel guitar sound, new vocal harmony styles in which the words are minimal, and a rough edge not heard on the more polished Nashville sound recordings of the same era. He received many honors and awards for his music, including a Kennedy Center Honor (2010), a Grammy Lifetime Achievement Award (2006), a BMI Icon Award (2006), and inductions into the Nashville Songwriters Hall of Fame (1977), Country Music Hall of Fame (1994) and Oklahoma Music Hall of Fame (1997). He died on April 6, 2016 — his 79th birthday — at his ranch in Northern California, after having recently suffered from pneumonia.